NEW YORK (January 18, 2011) – Eric Staal of the Carolina Hurricanes and Nicklas Lidstrom of the Detroit Red Wings have been named team Captains for the 2011 NHL All-Star Weekend in Raleigh, the National Hockey League Players' Association (NHLPA) and the National Hockey League (NHL®) announced today. The Captains were selected by their fellow NHL All-Stars and will lead the team selection process during the new NHL All-Star Player Fantasy Draft powered by Cisco on Jan. 28. As Captains, Staal and Lidstrom also will set their team rosters for the Honda NHL SuperSkills® on Jan. 29 and wear the "C" during the 2011 NHL All-Star Game presented by Discover on Jan. 30. The NHL All-Star teams are now designated as Team Staal and Team Lidstrom. Team Staal will wear the previously unveiled white Reebok NHL All-Star jerseys, helmets and socks, with red trim throughout and red gloves and pants. Team Lidstrom will wear the dark blue jerseys with royal blue trim, navy blue helmets, gloves and pants and navy blue socks. The All-Star jerseys feature Reebok's trademark Smoothfit numbering and lettering, created from a special process that provides lighter, stretch-based performance and the ability to include a unique design on the back numbers. Lidstrom is playing in his 19th NHL season, all with Detroit. The six-time Norris Trophy winner was named Captain of the Detroit Red Wings before the 2006-07 season. The 2011 NHL All-Star Game is the 12th All-Star selection for Lidstrom. This season he leads all NHL defensemen with 42 points (11 goals, 31 assists). "With all the great players participating, it's a great honor to be selected as a Captain for this year's All-Star game," Lidstrom said. "I'm really looking forward to all of the weekend's events and I'm very excited to be a part of the draft that decides the rosters of the two teams." Staal is in his seventh NHL season with the Hurricanes and was named the 13th Captain in franchise history on Jan. 20, 2010. A member of the 2006 Stanley Cup champions, Staal earned MVP honors at the 2008 NHL All-Star Game. The 2011 NHL All-Star Game is the third All-Star selection for Staal. In 45 games this season, he leads the Hurricanes in goals with 22 and points with 46. "I am honored that I have been given the opportunity to captain a team during the All-Star Game in my home arena," Staal remarked. "I'm looking forward to the challenge of selecting my own teammates for the game." Four alternate captains, two for each team, will be named at a later date. The Captain and alternate captains for Team Staal and Team Lidstrom will consist of two forwards and one defenseman. 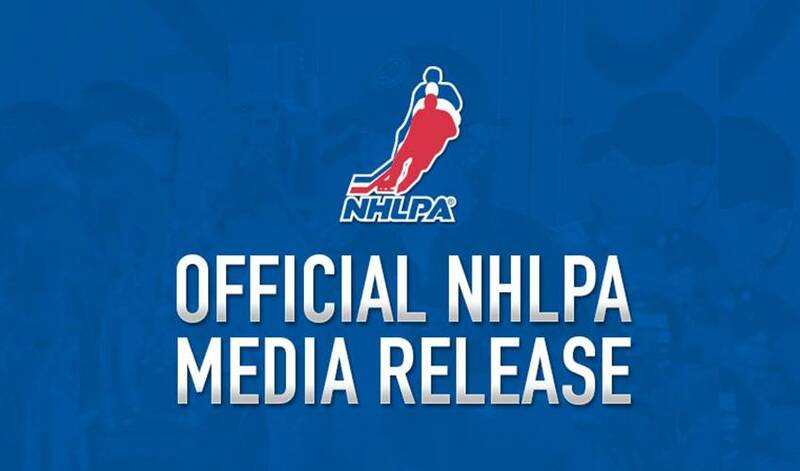 As previously announced, the NHL, working in conjunction with the NHLPA, created a player draft that will determine the team rosters for Team Staal and Team Lidstrom for the 2011 NHL All-Star Game presented by Discover as well as the Honda NHL SuperSkills®. The Jan. 28 NHL All-Star Player Fantasy Draft powered by Cisco will be televised live nationwide on TSN and RDS in Canada and VERSUS in the U.S. at 8 p.m. ET from NHL Fan Fair™ at the Raleigh Convention Center. A coin toss will decide first pick with Staal and Lidstrom, joined by their alternate captains, alternately drafting the 36 remaining All-Stars through 18 rounds. Each team will consist of three goalies, six defensemen and 12 forwards total. To ensure that the final draft picks are true selections and not simply predetermined due to position requirements, each team's three goalies must be picked by the end of Round 10 and each team's six defensemen must be picked by the conclusion of Round 15. The 12 Rookies participating in the Honda NHL SuperSkills® will be divided by the NHL into two groups of six. At the completion of the 15th round of the NHL All-Star Player Fantasy Draft powered by Cisco, one NHL Rookie will be selected to choose which All-Star team his group will join for the skills competition. The coaching staffs will be designated to each Captain via coin toss before the NHL All-Star Player Fantasy Draft powered by Cisco. By virtue of winning the 2010 Stanley Cup, Chicago Blackhawks head coach Joel Quenneville will be the head coach of one of the All-Star teams. He will be assisted on the bench by Mike Haviland, his current assistant in Chicago. Head coaches Alain Vigneault of the Vancouver Canucks and Peter Laviolette of the Philadelphia Flyers earned the honor of co-coaching the other NHL All-Star Team. Under the All-Star Game selection process, the head coaches of the teams with the highest points percentage (points earned divided by total possible points) in the Eastern and Western Conference through games of Saturday, Jan. 8 earned the right to co-lead one of the All-Star teams. The 2011 NHL All-Star Game presented by Discover will mark the first time Carolina has hosted NHL All-Star activities. The excitement begins on Friday, Jan. 28 with the NHL All-Star Player Fantasy Draft powered by Cisco and televised live nationwide on TSN and RDS in Canada and VERSUS in the U.S. at 8 p.m. ET from NHL Fan Fair™ at the Raleigh Convention Center. On Saturday, Jan. 29, the players will take the ice in the Honda NHL SuperSkills® at the RBC Center. The League's mid-season spectacular concludes with the 58th NHL All-Star Game presented by Discover at the RBC Center on Sunday, Jan. 30. Live television coverage of both nights will be provided by VERSUS in the U.S. and CBC and RDS in Canada, with the Honda NHL SuperSkills at 7 p.m. ET on Saturday and the 2011 NHL All-Star Game presented by Discover at 4 p.m. ET on Sunday. Fans in Raleigh are encouraged to take part in the festivities at NHL Fan Fair™, a three-day fan festival at the Raleigh Convention Center, January 28-30.